911uk.com - Porsche Forum : View topic - What number plates? 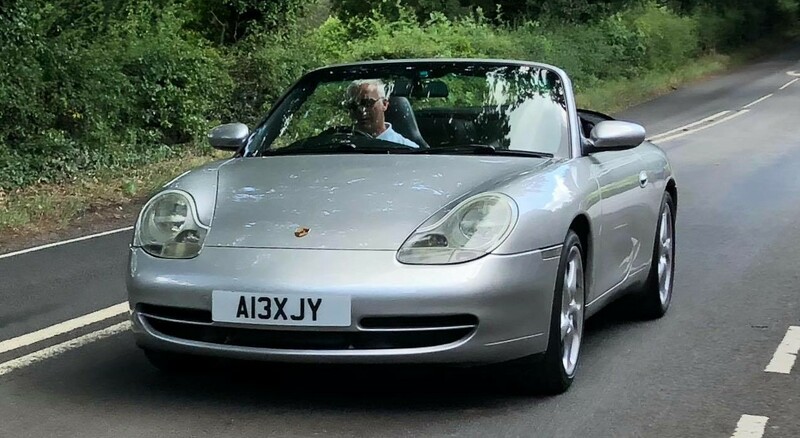 911uk.com Forum Index > General Porsche Chatter > What number plates? Posted: Thu Nov 08, 2018 1:38 pm Post subject: What number plates? I’ve just bought a standard set of number plates to go on hwmbo new Cayenne and they look terrible. Anyone got links or pictures of ones your happy with, not looking for anything illegal. Quit like the look of the presses ones. What do you mean by standard set? +1 for these guys. Bought gel carbon with porsche logo. Great quality. Worth asking for more flexible plates if you are putting stick on front plates on with no screws. Just standard plastic with no logo. Main dealer ones all the way! I put them on every car. Even my £700 Volvo has plates from my local Volvo main dealer. It just looks right. I’ve got pressed steel plates... legal and I think look much better than standard plates. I like the pressed metal plates, you can get fully legal pair on ebay for about £20 and then you can get a nice Porsche surround. Can't see any silly mis-spacing there. What's silly about it? They just make the car look messy. I binned mine when I sold my 850 9 years ago.